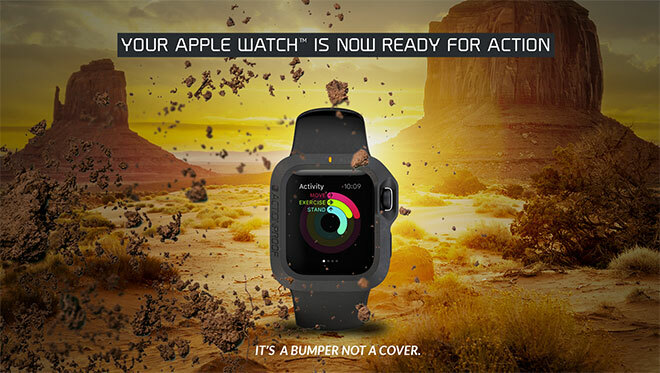 The ActionProof Bumper is made out of ultra resistant rubber and is only compatible with the 42mm Apple Watch. It’s not water resistant or dustproof, but it will protect the Watch against hits and scratches of the body. Check out the promo video below to see how it works. You can support the project if you want by choosing one of the four options. For $20 you’ll get The ActionProof Bumper in limited edition pink color, while a $29 gets you black with an orange accent dot. Spend $49 and get two bumpers – white and black – and for $20 more you’ll get three.